The Chungath Bridal collection is very unique in nature. 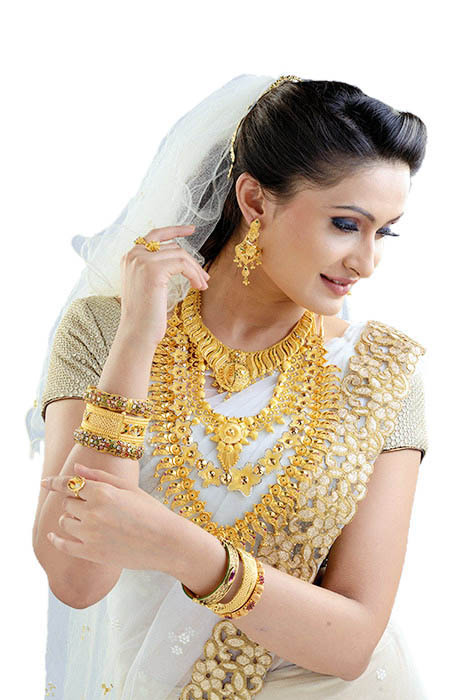 To pay homage to different communities and groups across Kerala, Chungath Jewelry created a different wedding collection for each and every communities in the state. From the magnificent Polki and Kundan work loved by brides across India to the vankis and the unique hair ornaments preferred by brides in Kerala. A range of necklaces, bangles, jhumkis, Odyanms and hair embellishments which are finely detailed in traditional patterns. Here’s the jewelry that is as memorable as your special day.